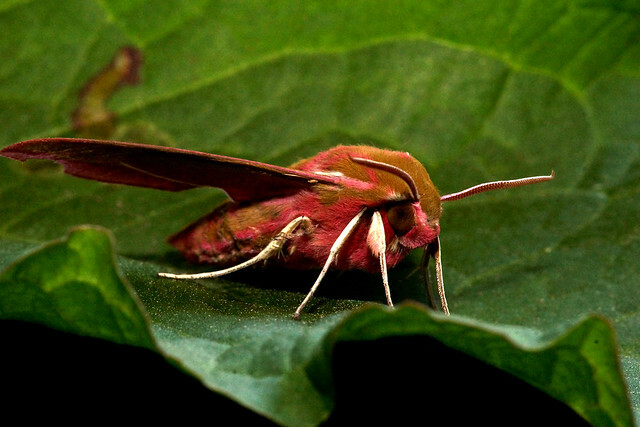 Elephant Hawk-moth -- Deilephila elpenor | Flickr - Photo Sharing! Stefan Puffer, Duong_Nguyen78, and 32 other people added this photo to their favorites. "The World Up-Close (Nature Macro)". Wow!! What an incredible creature. Nice capture!! Thanks for sharing your wonderful photo for all to see. Thats an Excellent Nature's composition. This image is a favorite!